Hi all - Thanks for letting me join your great site, lot's of good info here! I'm particularly interested in the M88 models and would like to learn anything I can about them, like how many were made, etc. 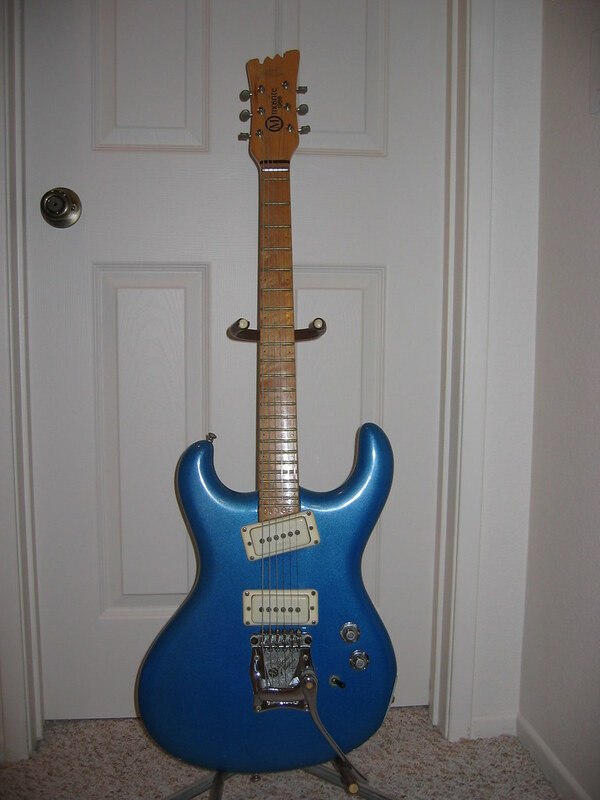 1) Sparkle blue M88 that I bought new (I think in '89) from a guy in Mass that had an ad in the back of Guitar Player magazine. I also have a 350 Stereo that I have sold and will be moving on to a friend, and I use to to have a Celebrity III. Here's the 350 Stereo, I'll try to take some pics of the others tonight. Beautiful guitars! How would you say the maple necks effect the tone compared to the rosewood neck on the Ventures model? Ditto what the others are saying. Gorgeous guitars and those maple necks look really good, particularly the flamed maple of the Purple model's neck. Do both of the 88's have Semie's signature? If so then from what I've seen,the 88 I once owned must be the only one ever not to have been signed by him. mosman wrote: Do both of the 88's have Semie's signature? Semie usually signed the M88 headstocks front and back, which I have not seen on any other model. If you look at Will S's photos you can clearly make out the signatures on the fronts of both headstocks. Bill - Both of my M88s are signed, and they both have "Mosrite for ever" hand written on the back of the headstocks. I'd love to see a pic of your M88! I don't know how folks feel about sharing serial #s, but I've been collecting M88 SNs and photos whenever they show up on Ebay. I think I head that around 50 were made total. As far as the sound of the maple fret boards, I guess they are brighter sounding than the Ventures model. They both have a stip of rosewood under the maple fretboard. Strange fact: the purple M88 is a low SN, in the teens. 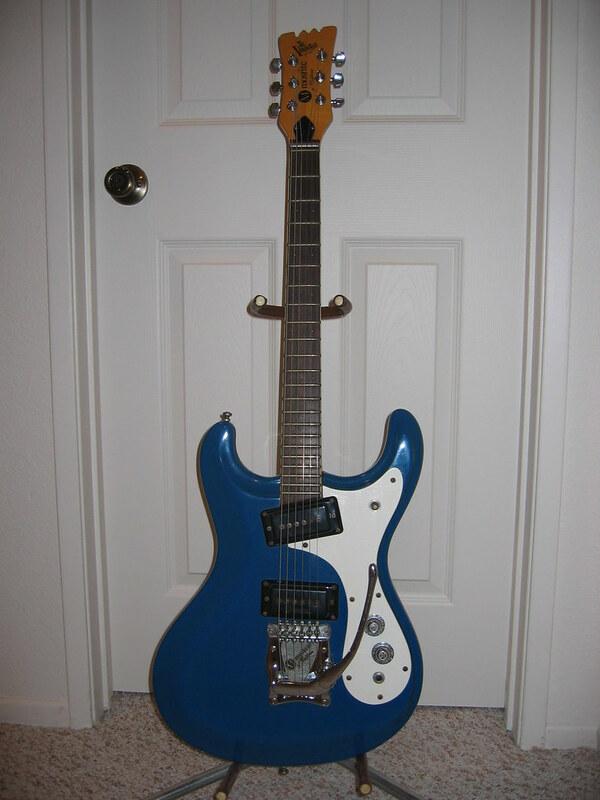 It differs from the blue one in that (it appears to me) the SN was stamped after the fretboard was laquered, and the neck pickup is installed upsidedown, and the pickup surround only has 2 of the 4 screws in place. 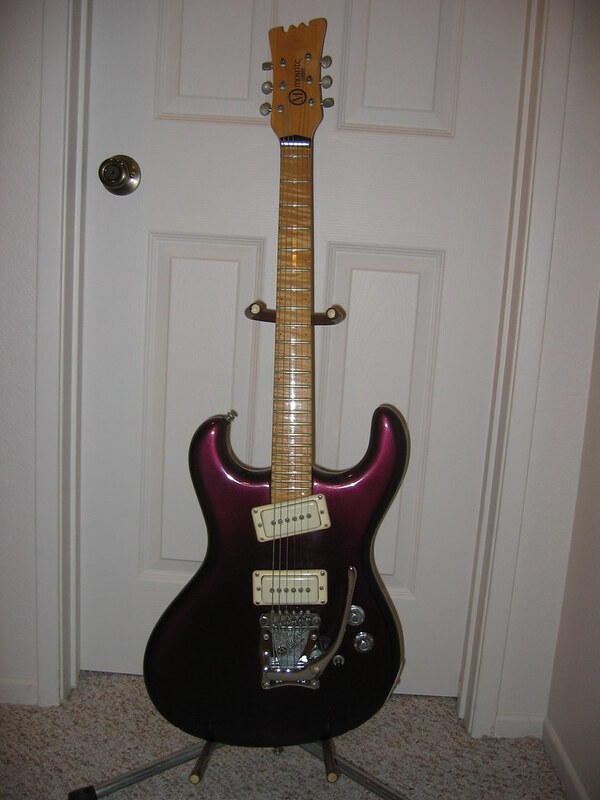 I visited Front Porch Music in Bakersfield in the early 90's and he had a black M88, also with a low SN, and the same upsidedown neck pickup and 2 screws in the surround! More useless trivia - I bought the blue M88 new. There was a guy in MA that had placed an ad in the back of Guitar Player Magazine. I think his name was Richard Means. He sent me a letter with prices and 4 photos (which I still have somewhere) of M88s finished in pearl white, sunburst, the blue one I bought, and a light gold color called "sand". 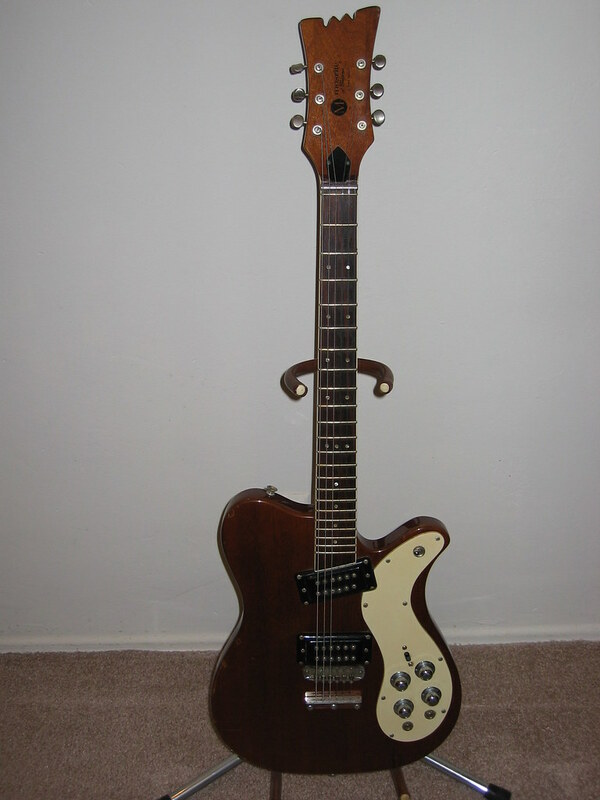 The sand color M88 had a rosewood fretboard and a hardtail (no trem bar) like the one in the photo on the 1988 catalogue. IIRC, he had told me that he bought 20 M88s from Semie to sell off. He said that Semie's intent was to make 100 of the M88s but only around 50 actually got built. I paid $800 new for the blue M88 in 1989! He also offered the sand one to me at a discounted price because it had the hardtail, I think it was $700! but I was a starving college student at the time and could barely afford the blue one!